Sydneysiders Caravãna Sun are returning to the North for two massive nights this April celebrating the huge 2018 success of their Silver Linings EP. The release, which spawned two game changing singles – Beauty & The Pain and Come Back – cemented the band as the indie darlings Australia needs. Described as a ‘salt of the earth’ band, the four-piece spent 2018 touring in support of Silver Linings, playing coveted festival spots at the likes of the renowned Wave Rock and Under The Trees. The EP was recorded at Sound Park Studio in Melbourne with Stephen Schram and is the band’s take on a ‘turbulent world’. Their music has been dubbed as ‘world fueled rebellious surf rock’, they are the epitome of the laid-back beachy tunes that embody the Australian lifestyle. 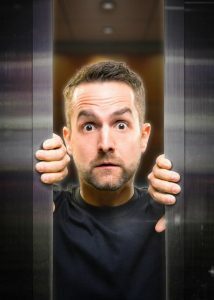 Luke Carra (guitar and vocals), Ant Beard (bass and vocals), Alex Dumbrell (drums and percussion) and Ken Allars (trumpet and keyboard) released their debut offering Rising Falling in 2011. It was quickly followed by the 2013 release of Aya. The band’s last visit for North Queensland was after the release of their 2016 album Guerrilla Club, and the highly acclaimed single Whale Song. Caravãna Sun have been out on the road steadily since their inception. At one point, they performed more than 500 shows in a five-year period, not just in Australia, but internationally. They’ve supported UK music legends UB40 on their Australian tour, as well as other UK legends Madness, and opened for Michael Franti’s Australian shows. They’ve played at Woodford Folk Festival, Rainbow Serpent Festival and Hi Fi Days Festival in Australia, as well as events and festival slots in Portugal, Austria, the Netherlands, Malta and Switzerland, to name a few. 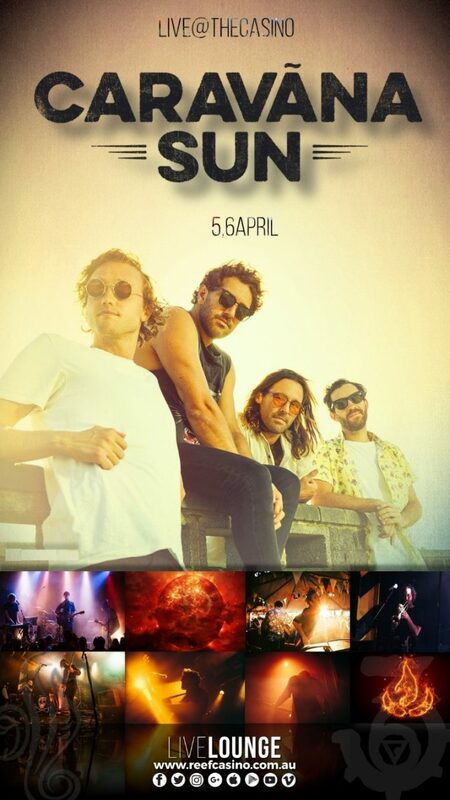 Don’t miss Caravãna Sun as they return to The Reef Hotel Casino for two special nights this April. Caravãna Sun performs at BAR36 at The Reef Hotel Casino on Friday 5th and Saturday 6th April from 9.30pm. The entertainment continues til late with Big Noise on the Friday night and The Tall Poppies on the Saturday night. Jelly Oshen opens the show nightly with live music from 8pm.